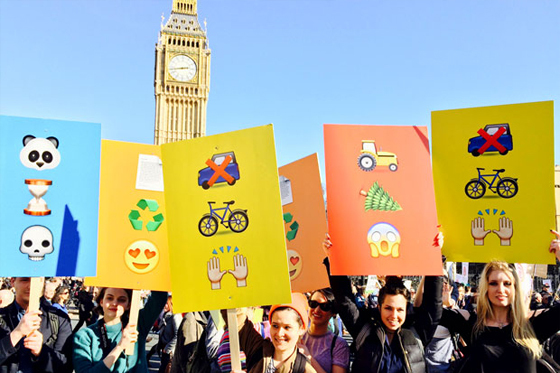 Once upon a very, very time ago, a nascent agency called Karmarama made its name with a campaign that had naff all to do with advertising. 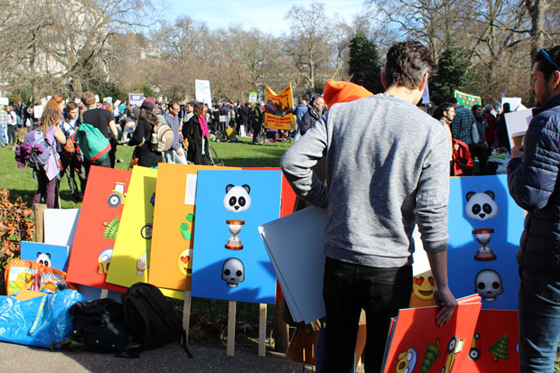 In fact, it was through some slightly odd protest posters that suddenly popped up during the Iraq war protests declaring “make tea, not war”. Thanks to the internet, they’re still easy enough to find. 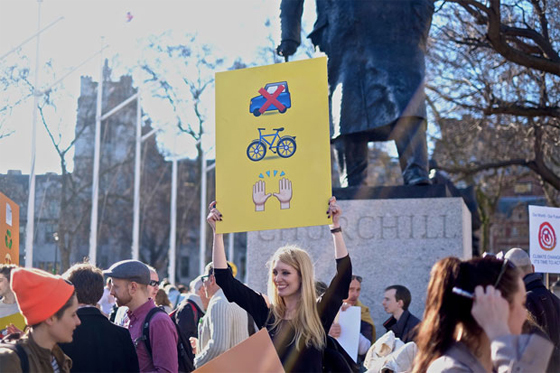 Well, in something of a revisitation of the schtick, Naresh Ramchandani, now at Pentagram, repeated the trick by leaving out a few dozen protest posters during the People’s Climate March in London which took place in March. 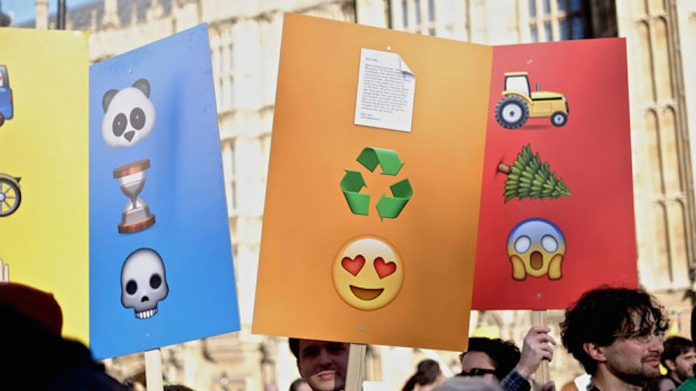 As previously, the placards were snapped up and hence Earthmojis – a series of images depicting environmental disaster and calling for change – were born.